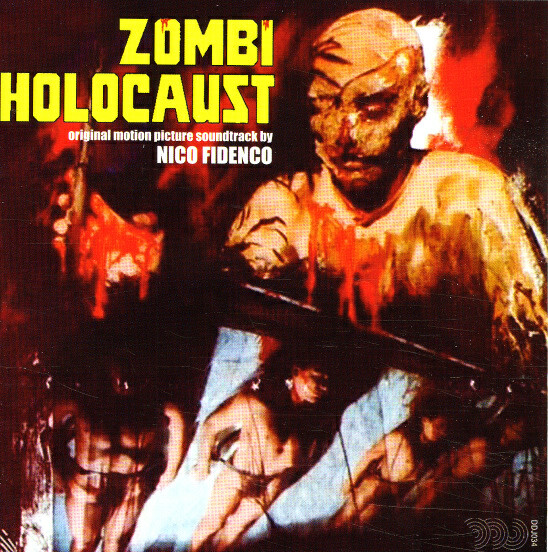 Here's our old friend Nico Fidenco again with the score for Zombi Holocaust, the 330th Soundtrack of the Week. As is often the case, the soundtrack consists of different arrangements of a handful of cues. "Fascinating Horror" is a textural synth piece, primarily a vehicle for a sense of dread. Then there's "Make Love on the Wing", a lovely, stirring piece which Fidenco has brought over from his Emanuelle film scores. "Living in the Past" is a groovy, laidback tune with a flute melody and some cool electronic sounds. And "Living in the Future" sounds like the futuristic version of it. Things continue in a mellow kind of disco vein with "The Magic Is in Progress" but get back to synth dread at the end. "Dee Doom Bee Boom" is as cheery as it sounds, with great percussion playing. It's reprised in "Resurrection", which begins with scary synth sounds. "From Another World" has a slinky groove for mellow but menacing line on top. Finally there's the tribal-sounding "Zombie Parade", mostly percussion, wood flute and voice with a little synth in there.